When Charles Clay dropped the game winning TD in the endzone this past Sunday, any miracle chance the Bills had at sneaking into the playoffs ended just as quickly. While the focus of this season is still on Josh Allen and his progress (which he has made a ton of since returning from injury), the standings we are left to focus on now shift to the NFL Draft order rather than the NFL Playoffs. I will still be rooting to see Josh Allen and the offense make progress, but if we happen to move up in the draft in the process at the same time, then so be it! Currently, the Bills hold the 8th pick in the 2019 NFL Draft. While a win last week would have been nice, it would have dropped the Bills to 13th overall. That is a significant swing all because of a dropped pass. Remember that when we are sitting here the night of the draft. Some of you might be thanking Charles Clay after all. The most obvious one. The Jets are still one game in front of the Bills, but have a significantly lower strength of schedule (SOS) than the Bills, so even with a Jets win on Sunday they would still be picking higher than the Bills. When push comes to shove, I know I will be rooting for the Bills to win this game. I want to see Allen outplay Darnold and the Bills to embarrass the Jets, as they usually do. An Atlanta win, combined with a Bills loss would move the Bills past them. Green Bay is currently behind the Bills because of their tie. I would think Green Bay comes out firing in this one in their first game without Mike McCarthy. Root for Atlanta. A New York win, combined with a Bills loss would move the Bills past them. There is a decent chance for that to happen considering the Washington quarterback situation is a mess. The 49ers have the inside track to the top pick, but it wouldn’t hurt to have them pick up a win. Same situation as San Francisco. Unless Josh Allen gets hurt again, there is no way the Bills fall down to where Oakland is the standings. But it won’t hurt to root for them. This is probably the biggest game of the weekend in terms of impact on the Bills. The Bills have the Lions next weekend, so getting Detroit another win this weekend would be huge in keeping them even with Buffalo in the standings. 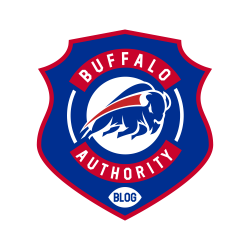 This entry was posted in Analysis, Game Previews, NFL Draft and tagged Bills, Bills Blog, Buffalo Authority, Buffalo Authority Blog, Buffalo Bills, Buffalo Bills Blog, NFL Draft. Bookmark the permalink.